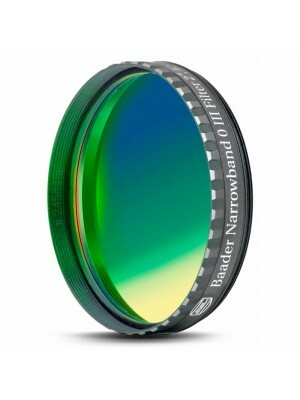 Baader S-II 8nm filter is designed for long exposure photography of deep-sky objects with CCD cameras (usually monochromatic because the color versions does not have the sensitivity needed to be used with this filter). This filter offers a high contrast and a complete removal of light pollution by allowing the astrophotography even from places with artificial lights. 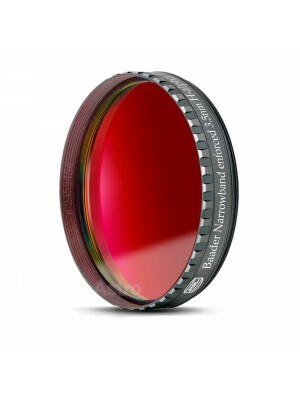 Together with Baader H-alpha 7nm filter and O-III 8.5nm filters, the Baader S-II 8nm filter enables color imaging using trichromy technique. 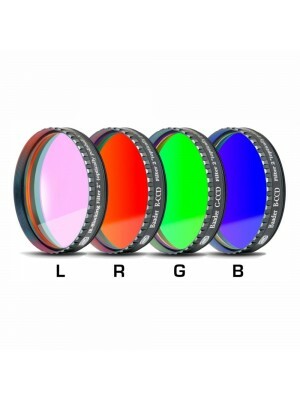 This filter is also perfect for use with achromatic refractors that, due to chromatic aberration, are not usually recommended for the long-exposure astrophotography. But using this filter the deep-sky astrophotography becomes not only possible but also offers excellent results since the narrow bandwidth virtually delete the effect of chromatic aberration.